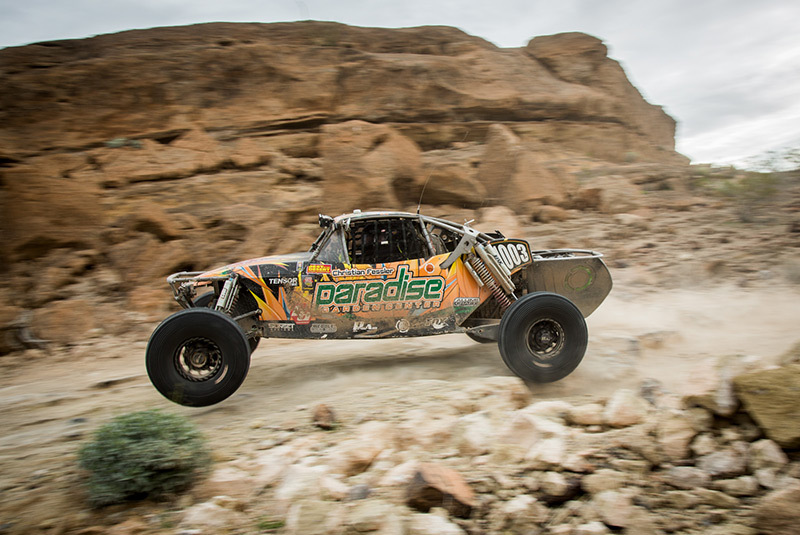 The Best In The Desert’s (BITD) Parker 425 off road race mantra is known as “The Legend Lives On”, however getting a race car to live to the finish line is more than a challenge. As BITD’s season opener and one of the longer races of the series, this event enjoys a large field of contestants. 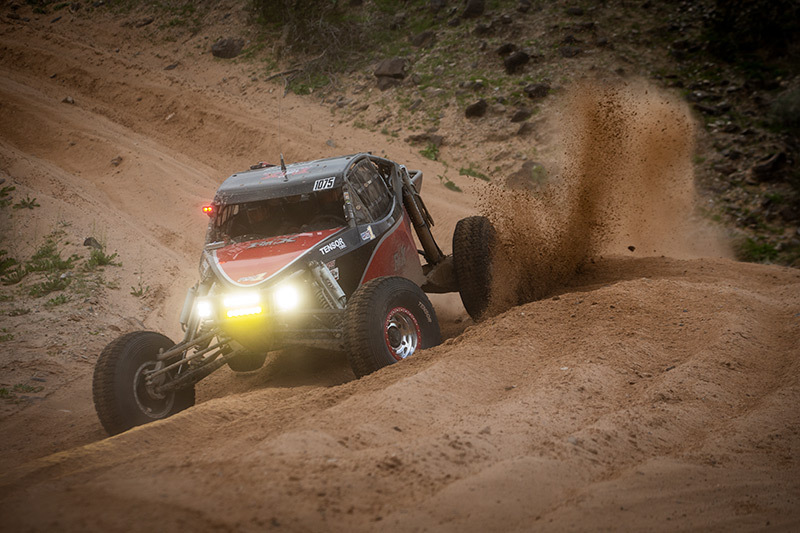 The Class 10 division started with 35 entries and only 22 buggies were able to complete the race. Competitors driving Alumi Craft race cars, it seems, owned an advantage with superior performance ruling the Class 10 field with 13 finishers (13 out of 14 entered), 8 out of the Top 10, and an all Alumi Craft Class 10 Podium sweep including the race win. 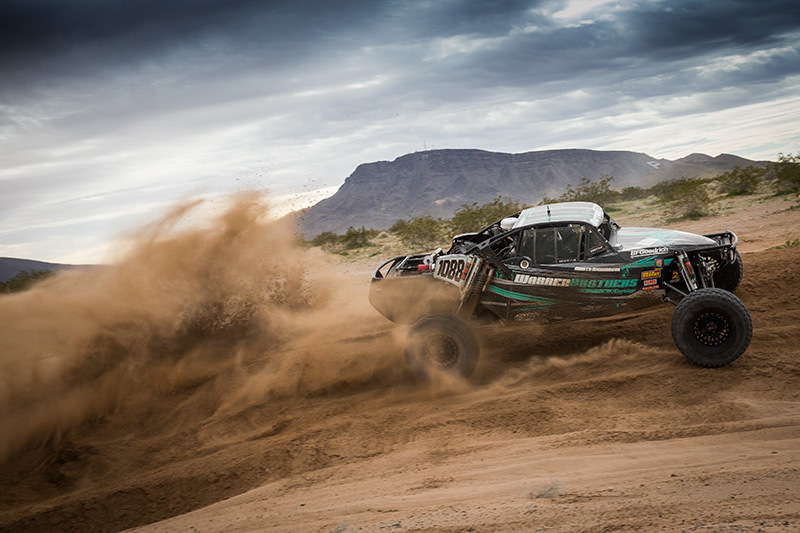 The Parker 425 features an approximate 141 Mile challenging race course where competitors do three laps to achieve the “425” mile distance. The Parker, Arizona area offers a variety of desert terrain backdropped against scenic vistas set along the Colorado River. The race taking place in late January offers cold conditions and often wet weather and is a favorite among racers and spectators. 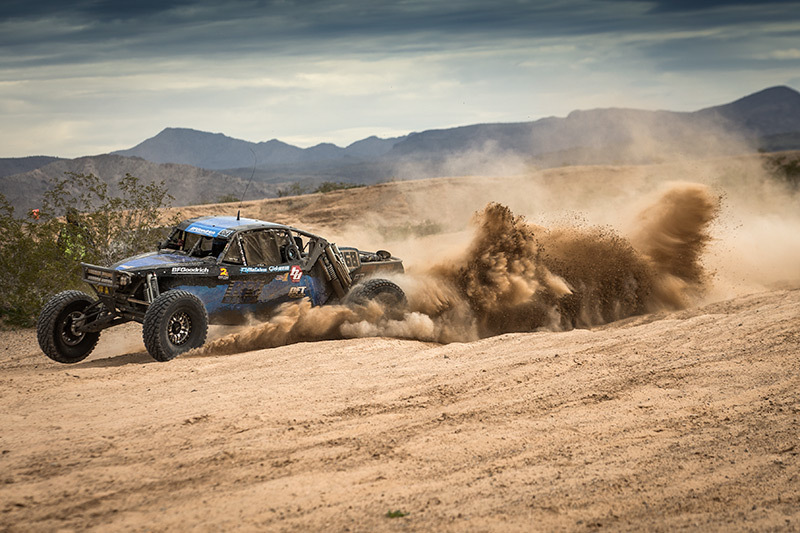 Chase Warren in the #1088 car raced to a first place finish over fellow Alumi Craft Class 10 Competitors; Christian Fessler and Brent Fox, whom finished 2nd & 3rd respectively. “Well, we ended up getting the big win at the Parker 425 this weekend,” smiled Warren. “We made a decision to make some changes and sacrifice power and speed for reliability and it paid off. We employed a conservative fuel strategy that had us stop 5 times for fuel, not wanting to take the chance of running out. In the end, it looks like it paid off! We had zero issue and the #1088 Alumi Craft was perfect all day! Thank you to everyone that pitched in. It’s such a big effort to even get out there, that coming away with the win is that much more meaningful! Warren finished the race in 7 Hours, 15 Minutes, and 34.79 Seconds for 1st place over Fessler who finished in 7 Hours, 18 Minutes, and 27.03 Seconds. Brent Fox had a good run too and was just over a minute behind Fessler. 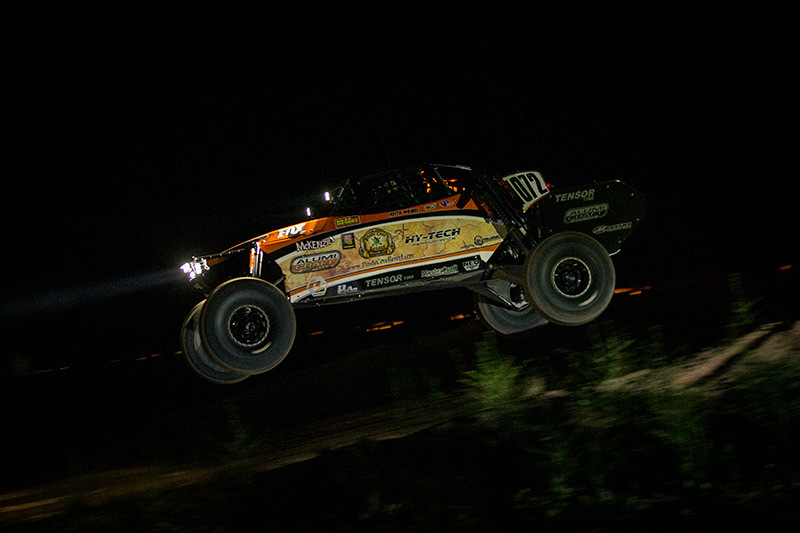 “We had a good weekend at the Parker 425,” stated Brent. “I started in the rear of the field back in 33 position. We raced smart and hard and ended up on the podium with a 3rd place finish. We got one flat that took us out of a chance to finish better! It was another grreat race in the #1075 Fox Construction Alumi Craft Class 10. Thanks everyone that came out to help! Other notable Alumi Craft finishers were Tanner James who claimed 5th, Cody Reid in 6th, Jared Teague in 7th, and Keith Waibel in 8th. Out of the 14 Alumi Craft’s that started the race, 13 finished with 8 in the Top 10, and an all Alumi Craft Class 10 Podium sweep including the race win. Tanner James maybe new to the BITD series, however he is well established and familiar as a driver behind the controls of an Alumi Craft Race Car. James races in Austrailia, and at only 20 years old, already has earned multiple race wins in his a single seat Alumi Craft Car. James purchased the #1093 car a couple of weeks prior to the Parker race and traveled from Australia to compete in his first U.S. race with BITD. 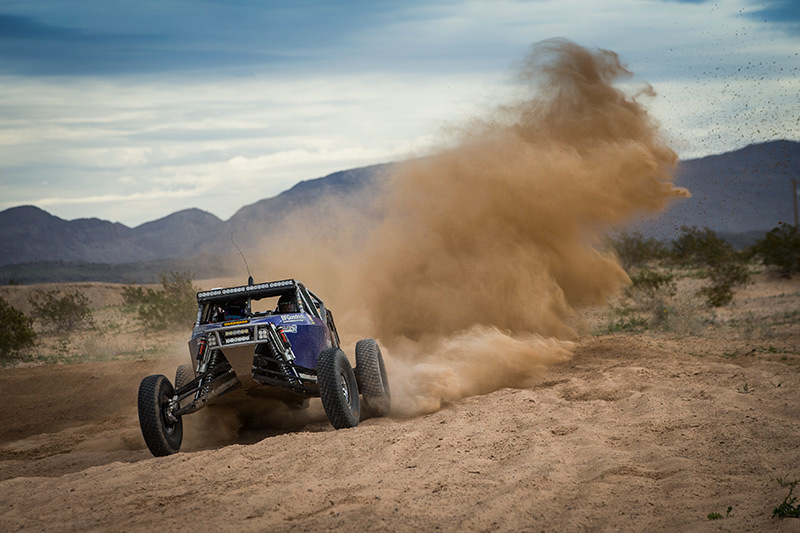 He will return again in March for the Mint 400. Most likely the newest car on the race course was Jared Teague’s brand new Class 10 Buggy for and J and J Motorsports freshly built by Alumi Craft and delivered just a few weeks ago back in early January. The bright blue #1047 Class 10 was sitting on display in the Alumi Craft Race Cars contingency booth all day Friday. Racers looking for a superior advantage or who desire good preparation and top quality reliable equipment can trust Alumi Craft Race Cars as the source for high performance and competitive value. 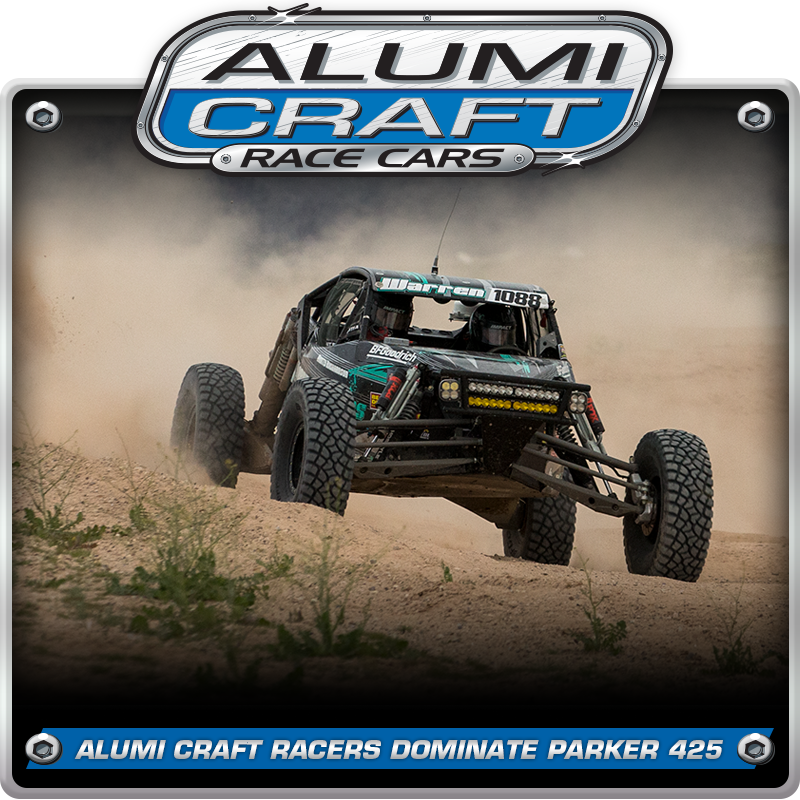 Give Alumi Craft a call at 619-596-9841 to find out more about our race products and services.